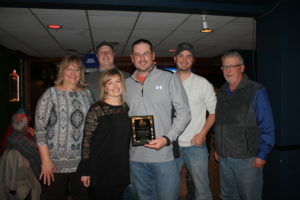 The Winner Area Chamber of Commerce recognized Jim Hiemstra as the employee of the year at the Chamber’s annual banquet on Jan. 12. 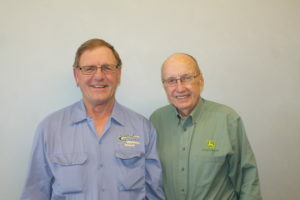 Hiemstra works at Rosebud Concrete. South Central Livestock Supply has been honored by the Winner Area Chamber of Commerce as the business of the year. The award was presented at the Chamber banquet on Jan. 12. This year’s Volunteer has been said to have Energy, be a Bull Dog, the Energizer Bunny, and “I can and will get the job done” attitude. 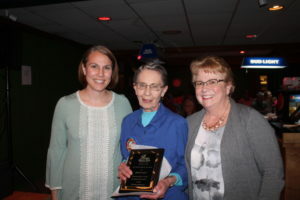 The Winner Area Chamber of Commerce 2017 Volunteer of the Year is Joan Hauf. The winner of this year’s Winner Area Chamber of Commerce achievement award is a lifelong resident of Tripp County. 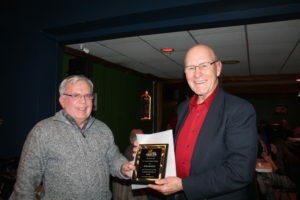 The award was presented at the Chamber’s annual banquet on Jan. 12 to Bob Benson. Brandon Bicek of Winner has been to the fall semester dean’s list at Northern State University. Named to the fall honors list at Dakota State University are Isaac Kortan of Colome; Blenda Hadsall and Tawny Sherman, both of Winner. Area students have been named to the fall dean’s list at the University of South Dakota. 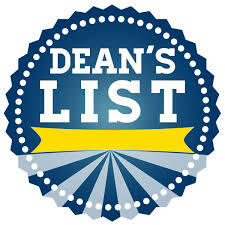 Named to the dean’s list are: Mariah Kinzer and Sarah Shippy, both of Colome; Bailey Volmer, Cohl Turnquist, Colby Curtis, Colton Best, Molly Sperlich, Natalie Gronlund, all of Winner. Named to the academic honors list at USD are Kaitlyn Labahn and Sissy Orel, both of Winner. Attorney General Marty Jackley announced that the South Dakota Supreme Court has affirmed the first degree murder conviction and life sentence without parole of Russell Ray Bertram, a former law enforcement officer, for the shooting death of his fiancée Leonila Stickney. The South Dakota Supreme Court rejected all of Bertram’s claims. The evidence revealed that even though Bertram was in bankruptcy and had debt exceeding $100,000 he purchased two life insurance policies on Leonila’s life totaling $920,000 with himself as the sole beneficiary. The jury also heard about his sexual encounters with other women immediately prior to Leonila’s death. 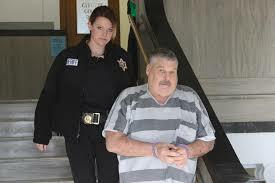 The State argued all this evidence was relevant to Bertram’s motive for killing his fiancée and the Court agreed. Bertram was convicted by a Gregory County jury in September 2016 and was sentenced to life without parole for first degree murder. Winner Area wrestling team had five champions and won first place at the Tri Valley tournament on Saturday. The five champions were Atlas Willuweit, Riggin Shippy, Sam Kruger, Wyatt Turnquist and Kaden Keiser. Also placing for Winner were Jack Kruger, 4th; Riley Orel, 3rd; Trevor Peters, 3rd; Preston Norrid, 3rd; Owen Duffy, 5th; Achilles Willuweit, 3rd and Elijah Blare, 3rd. Winner Area wrestlers will host a triangular with Kimball and Philip on Friday and on Saturday, Jan. 20, is the big Winner Invitational wrestling tournament. 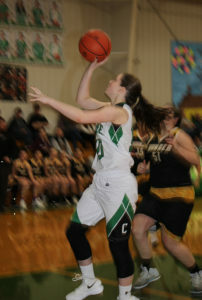 The Colome girls basketball team defeated Jones County 47-34 on Jan. 9. Leading the way for the Cowgirls was Saydee Heath with 18 points and 7 rebounds. Abby Kortan chipped in 10 points with Rayne Hermsen and Kaydee Heath scoring 7 and 6 points respectively. 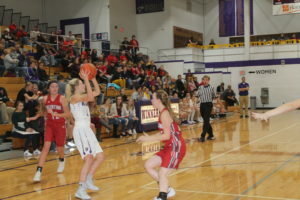 Winner girls basketball team scored lots of points last Tuesday as they defeated Valentine, Neb., 75-35 in Winner. Leading the way for Winner was Morgan Hammerbeck with 19 points followed by Gabby Kocer with 11 and 9 each from Maggie LaCompte and Abby Marts. Marts pulled down 7 of Winner’s 38 rebounds. Hammerbeck grabbed 6 and Kocer, 5. 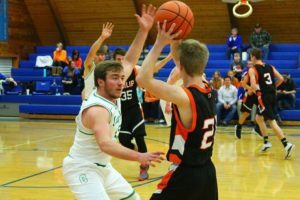 On Thursday, Winner defeated Bon Homme 82-39. Hammerbeck scored 23 points, Kocer, 17; LaCompte and Ellie Brozik, had 8 points each. Abby Marts pulled down 7 rebounds. Sachtjen and LaCompte had 5 each. On Saturday, Winner defeated Windom, Minn., 78-30 in the Border Clash in Garretson. Morgan Hammerbeck led the scoring for Winner with 24 points followed by Maggie LaCompte with 14 and Gabby Kocer, 10. Hammerbeck pulled down 8 of Winner’s 36 rebounds. Kelsey Sachtjen and Kocer had 6 each. The Lady Warriors will travel to Pine Ridge on Jan. 18 and host Miller on Jan. 22. Colome boys basketball team won the consolation game in the Jones County Tournament as they defeated Kadoka Area 60-43 on Saturday. Salonen led the scoring for Colome with 19 points followed by Thieman, 15; Calvin Ringing Shield, 14 and Kinzer, 10. Thieman pulled down 10 rebounds, with six each from Ringing Shield and Salonen. The Cowboys opened up the tournament on Thursday when they were defeated by Stanley County 51-46. Salonen scored 13 points and Thieman, 11. Thieman pulled down 6 rebounds and Jackson Kinzer and Salonen with 5 each. On Friday, Colome defeated Philip 55-31. Kinzer led the scoring for Colome with 15 points followed by Ringing Shield, 14 and Salonen, 13. Thieman pulled down 11 of Colome’s 27 rebounds. Colome will play at Gayville-Volin on Jan. 19 and will travel to Kimball/White Lake on Jan. 23.